Will Your New CCTV System Come with Technical Support? It should do, if you’re going to buy a system you can trust. It is very easy to pick up a DIY CCTV kit in a store, swayed by the positive wording on the package, not to mention the affordable price. But when you get it home, will you know exactly how to install it and set it up? Technical support is vital if you’re going to get the most out of whatever system you buy. You never know when you might have questions you cannot find the answers to. This is one reason why some residents (and some business owners, too) have opted for our supply-and-install service, rather than going shopping alone and trying to fit their own system, too. Others have benefited from buying their own preferred kit and then asking our experts to install it for them. In both cases, full technical support is always available. Even when you’ve had your CCTV cameras fully installed and tested to make sure they are working correctly, you can still never be sure you know all there is to know about your new system. It takes time to get used to anything new, and closed-circuit television is no exception. If you have just replaced an old analogue system, it will take time to get to grips with its digital replacement. Even if you know the basics, you’ll want to make sure you can make the most of the new features of digital cameras. Having a number to call for some technical support whenever you need it will go a long way to achieving that aim far faster than you’d think. And of course, if your cameras should develop a fault, and something isn’t working as it should be, getting some professional advice will be a good thing to fall back on. Would you like to call on us for no-obligation advice and a free quote today? 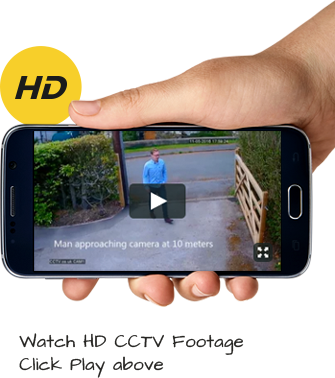 If you’re still in the early stages of choosing a new CCTV system, make sure you get in contact with us today. Email us at info@cctv.co.uk, or call us on 0800 211 8310 – and yes, it’s free. You don’t need to go ahead with a purchase, but we’ll make sure you get the advice you can rely on to help you choose the right system today. There are no cables on show outside the property. Once installed I was guided through the software on my phone, tablet and monitor. Any questions I had were answered. Playback and saving of the video is simple. Overall this was an exceptionally easy and satisfying process. I can definitely recommend this company for cctv installation packages. Thank you very much.